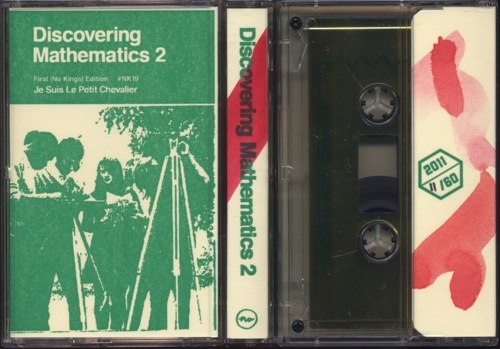 Belgium artist, writer and musician Felicia Atkinson, also known as Je Suis Le Petit Chevalier, has re-released her “Discovering Mathematics 2,” a forty-two minute cascading collage of repetitive sounds and noises on a limited edition cassette through No Kings records. Atkinson’s immersive compositions sound brilliant on the out-of-date format. Also, the limited edition of sixty cassettes makes the listener feel as though they are actually part of a larger art experiment, much like a happening that might occur in a small art gallery on the outskirts of some European city. The title of the album, along with the high school textbook inspired artwork leads the listener to believe that they’re going to be taught something. What one is taught is that there is a balance between noise and space; there is a relationship between the openness of sound and the potential of art. What JSLPC has given us is a quiet lesson in the mobility of meaning. At first listen, Atkinson’s careful compositions do sound repetitive and somewhat annoying. But as I allowed the tracks to play out on my headphones, the warmth of the sounds replaced any misplaced annoyance I felt. My mind leads me to believe a track such as “Radiant Cheeks” could be used on a film soundtrack to musically mark the moves of a mental patient shuffling though a 19th century asylum. At the same time, Atkinson’s strongest track, “Dust Stadium Dillusion” recalls a romantic image of the sun shining in on a couple clad in white underwear, waking up from a late night full of sexual discoveries. The softness of JSLPC’s voice mixes well with the New Order-like warmth of the track. At this moment, I’ve become part of something larger than music. Through a shiny gold cassette tape, Atkinson has made me part of some existentialist art project that is only limited by the inherent movement of mathematics when presented on a thin strip of accumulated magnetic tape. November 3, 2011. Albums. Leave a comment. The Black Belles are the next big band born from Jack White’s Third Man Records. After releasing four singles on the TMR label, the Belles have finally recorded their full-length self-titled debut album. With the help of White’s production, the fierce foursome have found their groove and created a strong album full of ‘60s garage rock-inspired tunes darkly laced with an underlying modern spin. If one could imagine Elvira having four daughters, The Black Belles would be them. The goth-garage gals have tossed their pointed hats into the musical arena and produced a solid debut. 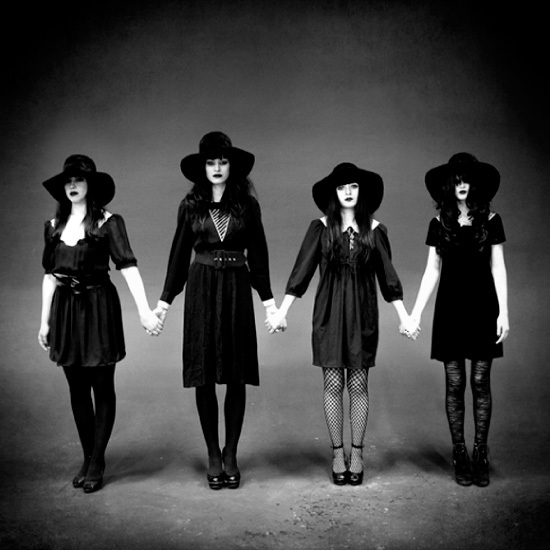 There is a feeling that the witchy-looking women have some fantastic future albums brewing in their cauldron.